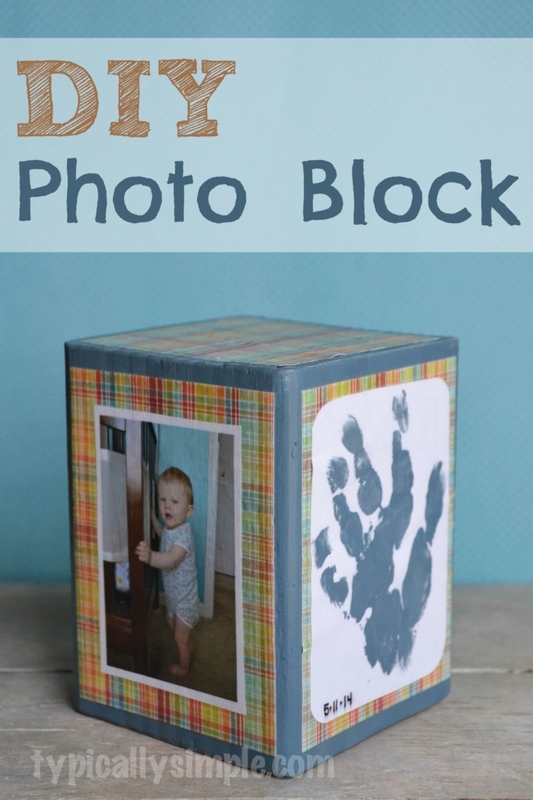 A homemade gift that is perfect for displaying favorite photos, handprints, or even little drawings made by the kids. 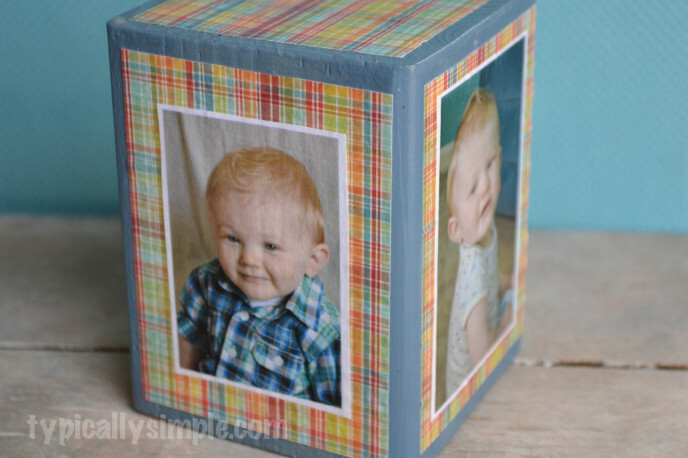 This DIY Photo Block is a simple project to make as a Mother’s Day or birthday gift! Quite awhile back, I needed a 4×4 block of wood for a project I wanted to make…I only needed it to be about a foot long, but I bought an 8 foot board. So for about two years now, I have had blocks of various lengths sitting out in the garage with intentions of using them to make some other projects. When my original plan for a Mother’s Day gift for my mom fell through, I thought, why not use those blocks of wood to make something! 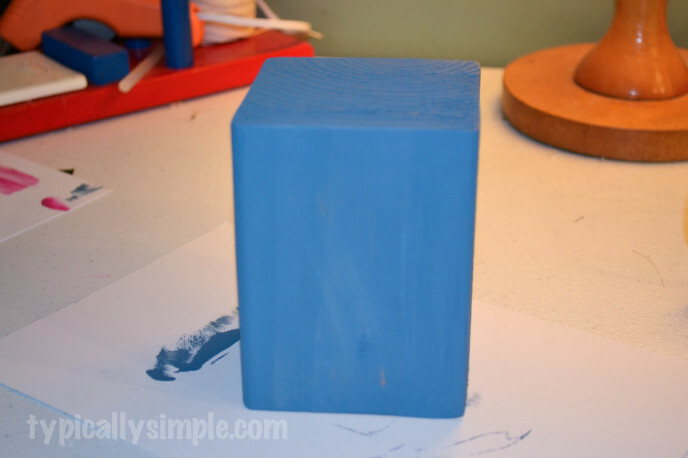 I started by painting the wood block with a few coats of acrylic, letting it dry between coats. At first, I thought about using regular photographs to attach to the block. However after doing a test run, I felt that just printing out some photos on regular printer paper would work best. 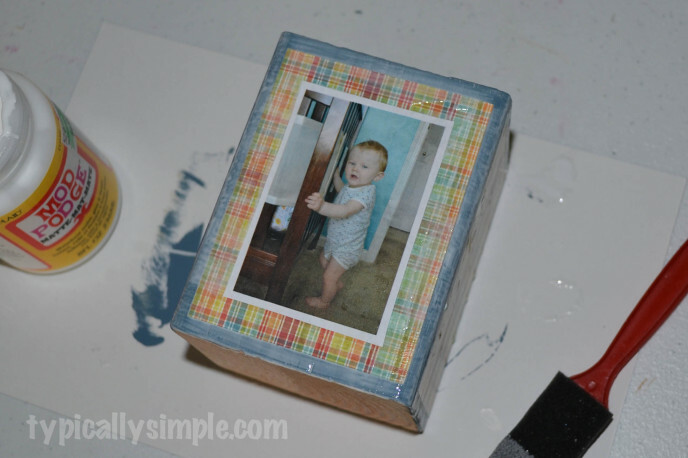 Using the same color paint as the block, I painted Quinn’s hand and was able to get a handprint to add to the block. It took a few tries before we got a print that actually resembled a hand…at least he didn’t try to touch his face or eat it! I wanted to back the photos with some printed scrapbook paper to help them stand out better against the blue background. Using my favorite crafting tool, my cameo, I cut out the shapes and sizes I needed. However, it can easily be done with just scissors or a paper cutter…I just find any reason to use my cameo! 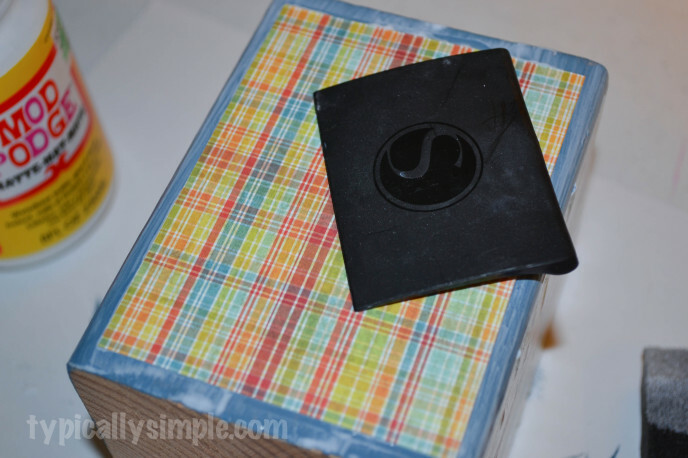 Using my trusty foam paint brush, I applied a layer of Mod Podge to one side of the block. I then stuck the piece of paper on top of that. Now I always seem to have problems with my paper getting a little wrinkled when doing projects like this. This time, I tried using my scraper tool to smooth out the edges and make sure the paper really adhered to the block. And it seemed to work pretty well! 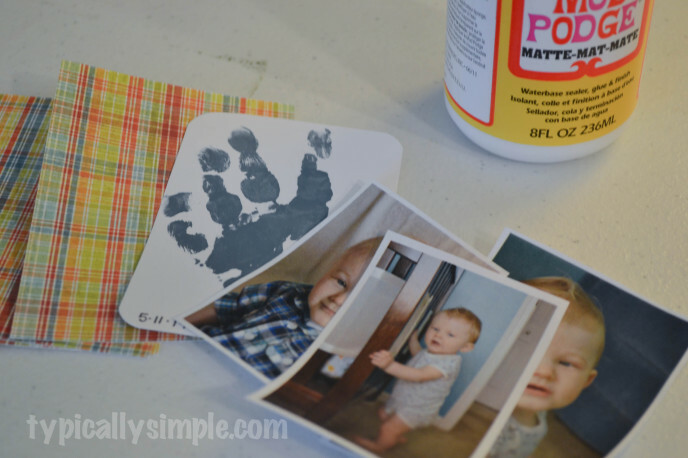 Next I added another layer of Mod Podge and attached one of the photos. Using the same technique with the scraper, I made smoothed out the edges. Then I let it dry for a little bit before adding on a final layer to seal it. I also added the same scrapbook paper to the top of the block to make it look a little more finished. 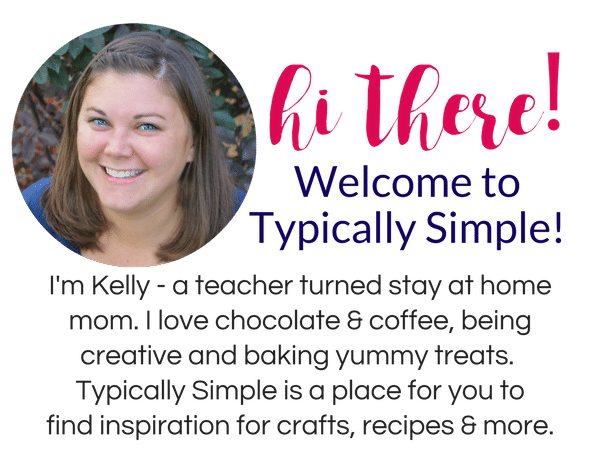 The fun thing about this project is that you could use all of the same paper or a different print for every side! 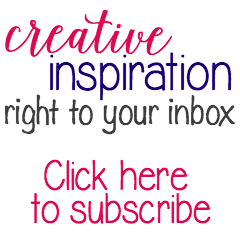 My favorite kind of projects are ones that can be personalized for the recipient with different colors! This would make a great gift for any holiday! 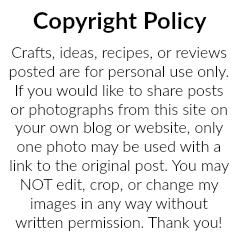 And the possibilities with the photos are endless…you could use photos of kids, pets, or even vacations!